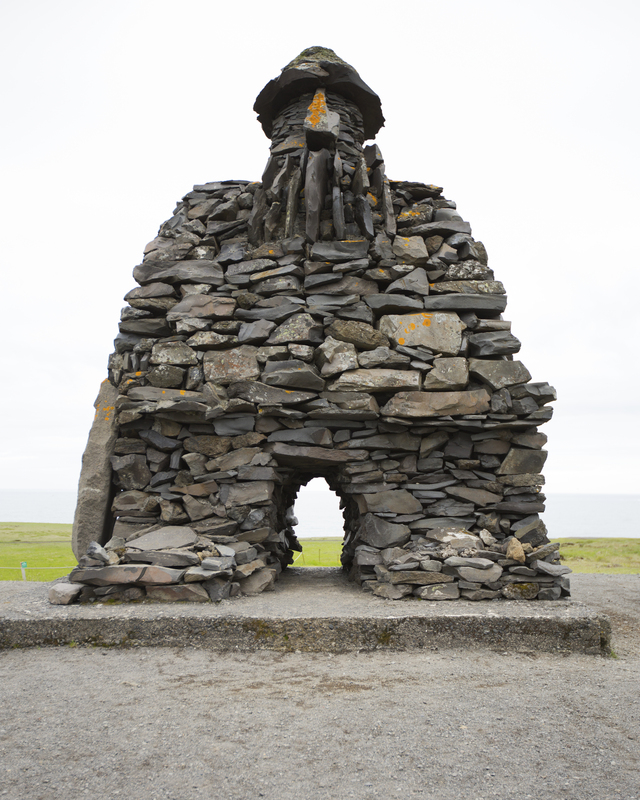 Representation of the Guardian Spirit Bardur Snaefellsas, Deity of Mount Snaefell. A nature spirit petitioned by the local folks in matters large and small. By sculptor Ragnar Kjartansson in 1985. Arnarstapi, Snaefellsnes Peninsula, 3 hour drive northwest of Reykjavik, Iceland.